Y Combinator’s biannual Demo Day is winding to a close after presentations from dozens of tech entrepreneurs. The Silicon Valley-based accelerator has historically had a hand in the development of numerous healthcare tech startups, and this week’s event seems to be no exception. According to TechCrunch, 28 percent of the 122 startups that presented at Demo Day fell within the healthcare vertical (just two percent behind the leading category, B2B software and services). Read on for a roundup of the digital health and wellness startups featured at the event. Bot M.D. is meant to be an alternative source of information for doctors, primarily the information they need in the course of their work like drug interactions, medical calculators, some guidelines and protocols, and information on less common diseases. Doctors can even use it to find medical images and videos. The app uses artificial intelligence to present this information in the form of a personable and even humorous chatbot. The app is designed to help doctors all over the world, especially in areas where physicians and information might be in short supply, and earlier this month raised $700,000 in seed funding. BrainHi is a mobile app for patient communication. 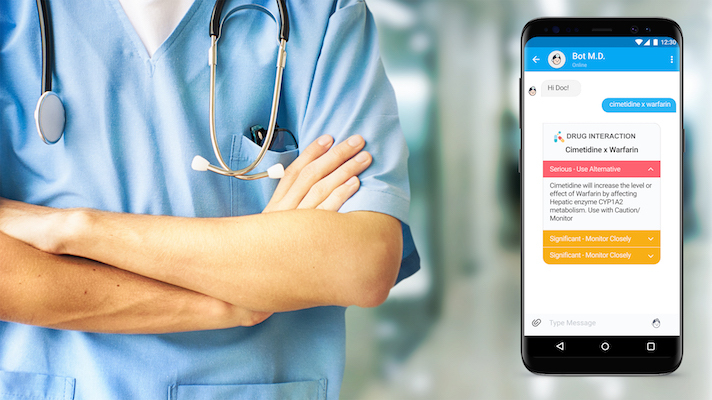 Featuring an automated receptionist that can schedule appointments through text, managed missed calls, and answer non-medical questions from social media followers, the company bills itself as a patient-friendly timesaver for administrative staff. Cloud Workout is a fitness streaming service that will rely on workout instructors’ personalities to develop an audience following, a la Twitch for video gaming, according to TechCrunch. The service is currently being tested in a private beta. Curebase’s software looks to simplify clinical trials. The all-in-one product streamlines participant eligibility, enrollment, education, and consent, while offering participants easy in-app protocol guidance and providers simpler document scanning and upload.